Sometimes things break. This is one of those cases. 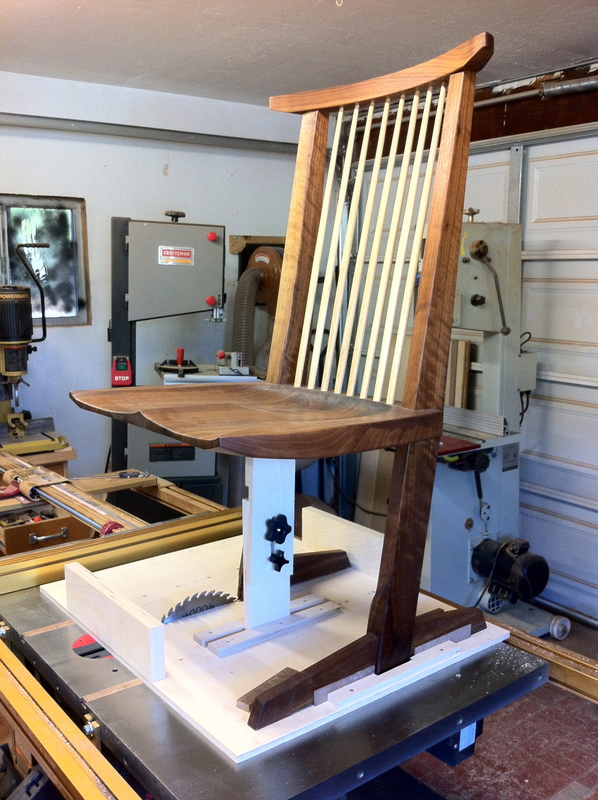 There was probably a defect in the wood that was undetectable when I built the chair and when the wrong set of forces were applied to the chair, one of the feet broke after the joint. 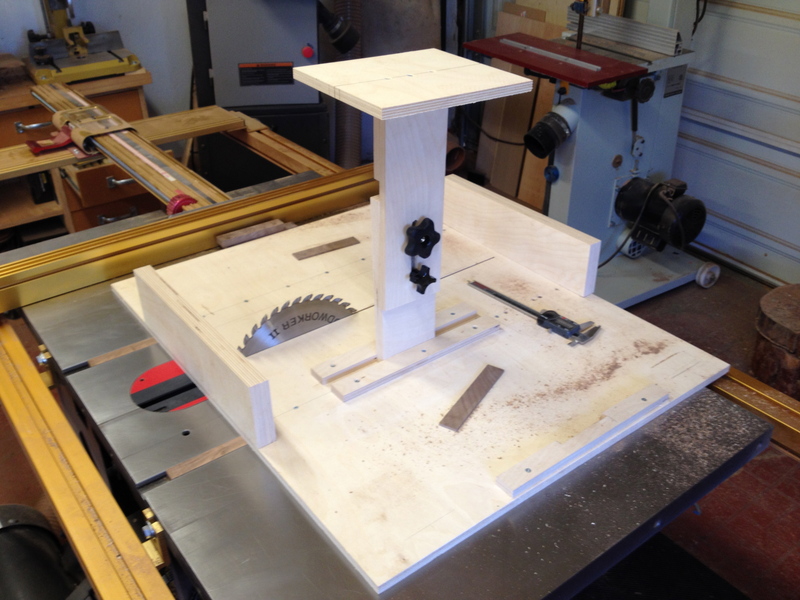 To fix the chair, I built a sled that would ride on the table saw and support the chair standing up and would allow me to use a spacer block, after the first cut to create a new mortise for the bridal joint. Here is the chair in the sled. Notice the two star knob locations and the slot. 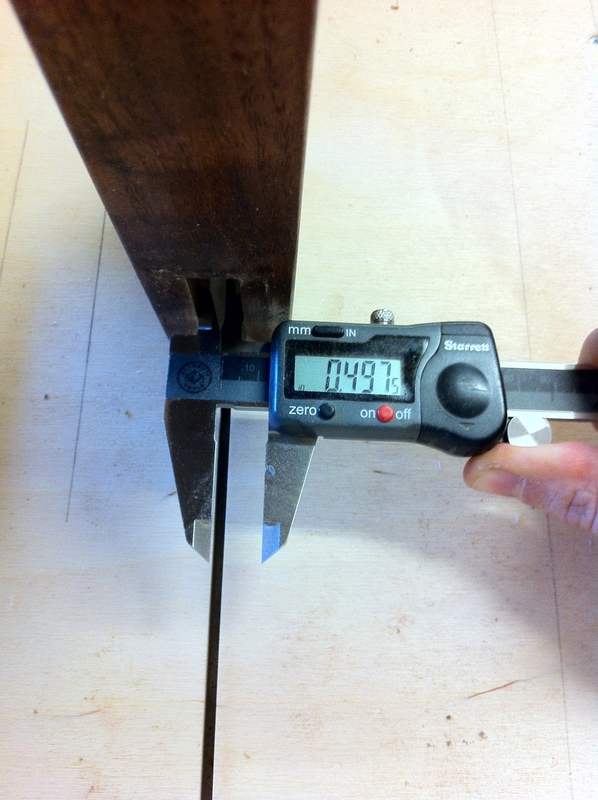 This allows me to angle the fixture to match the angle of the seat. Getting ready for the first cut. 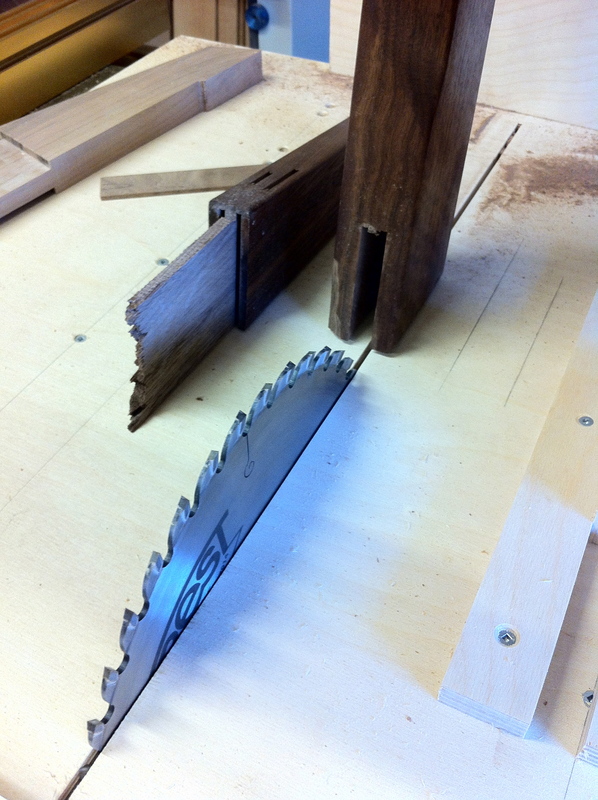 After the second cut using a spacer milled up to match the tenon size on the new foot for the bridal joint. 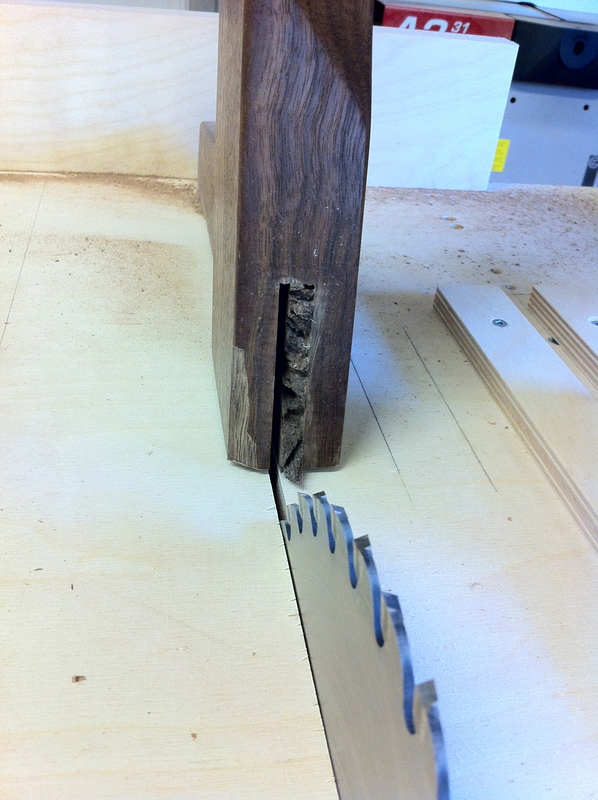 The width of the new mortise. 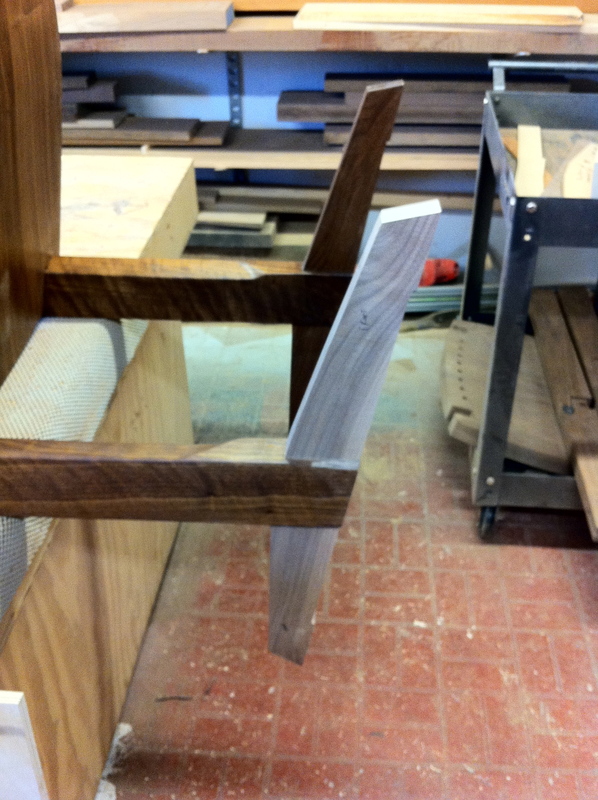 The new foot of the leg fitted to match the size of the mortise for the Bridal joint. Let me know what you think? Would you have gone about this differently?